There are several ways to learn how to meditate for anxiety. 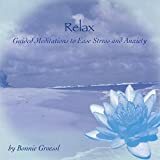 Meditation is one of the best anxiety and stress relief techniques available today. There are mainly two ways to learn how to meditate for anxiety relief: in groups or on your own by meditating alone at home. Each of these options has its advantages for getting rid of anxiety, and the one you will choose will depend on several factors. I was suffering from anxiety and panic attacks for many years in my teens, and I refused to take pills of any kind. 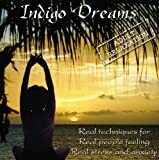 This is when I've first learned about meditation techniques that would calm me down and relax me enough to let go of my anxiety attacks. However my problem was that in our area there were no groups, no meditation centers that would teach this relaxation form. So I had to learn how to do meditation at home. If you have access to some meditation groups or even better you can go to meditation retreats, you will really speed up the process of learning meditation. It will cost you a bit more as well, but it's well worth it. I only went to a retreat when I visited another country, and the experience was absolutely great. My anxiety was already easing up from my meditations at home, but the overall energy of the entire meditation retreat was fantastic. I can only recommend it. However learning to meditate at home is a great alternative (and cheaper too! ), and it a wonderful way to get relief from stress and anxiety. Don't forget that most people don't have access to retreats, so their main option is to learn how to do meditation on their own, from the comfort of their home. Many become excellent meditators, while others learn to let go of their anxiety attacks. Why Is Anxiety Such A Big Part Of Our Lives? Anxiety sadly is a major part of our life, just like panic attacks. The problem here is that we live stressful lives, full of anguish, too many things to do in a too short time, and we don't come unscattered from living in the Western world. We haven't learned yet to live a balanced life where we don't stress out over the daily worries so much, and enjoy to life the good part of life fully. We take on too much, we worry too much, and we don't relax enough. Take for example holidays. Christmas holidays are some of the most stressful ones for many people. Did you know that Christmas is one of the times when the suicidal rate is at its peak? No wonder anxiety panic attacks are so prominent in our society! By learning to meditate for anxiety, you learn to let go of the things not so important, even if for just a couple of minutes. But those minutes are enough to clear your mind from the chit-chatter, and to let you recuperate before you feel your mind explodes. Often, relaxting for half an hour a day is enough to give the mind the time to sort out through problems and come up with the solution that you were looking for all along. And this is why learning how to meditate for anxiety is so important in our society. 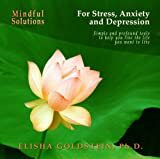 How Can Meditation For Anxiety Help? The problem with anxiety is that we tend to worry too much. We worry about the smallest thing - and we worry a lot. All this worry and being fixated on problems tends to create stress. And being stressed out makes you worry even more, and the unendless vicious cycles is formed. So we have to somehow break this unhealthy cycle, so that you can see your problems for what they are and learn to cope wih them instead of feeing that there is no way out. Learning how to manage anxiety through meditation is possible and easily done. When you meditate, you learn to calm your mind. You know those voices in your mind that can't stop talking to you? 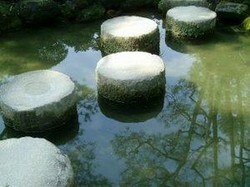 Those are the voices that you will be hearing less when you meditate. When your mind is busy with the worrysome chitchatter, it doesn't have the time to really focus on what it needs to focus. Have you noticed that you can think much clearer when you are alone? This is how meditation also helps with anxiety. It slows down the mind from its constant overactive thought process, which in turn greatly reduces stress and anxiety - in some cases is eliminates it permanently. This meditation is extremely simple, and it is one of the best to get started with meditation overall. First find yourself a comfortable position, one that will not cause you pains and leg cramps for the next 20 or so minutes (you can start with less, even with 5 or 10 minutes if you haven't meditated before). Avoid a poor posture because it will distract you from meditating. Make sure you wear loose clothing that doesn't restrict your blod circulation. Now close your eyes and start breathing slowly and calmly. Take a few long deep breaths and listen to the whoosh of the air coming our of your lungs, mouth, and the fresh air coming in through your nostrils. Now all you've left to do is observe your meditation. Don't try to change it, to regulate it, only notice it. Notice the air tickling your nostrils as it comes in, notice how you lightly tighten up your stomach muscles when you exhale, simply notice your breath as it goes in and comes out of your body. You will most likely have wandering thoughts popping in and out of your mind. Just let them pass, and then focus again back on your breathing. Initially you might find that you lose concentration and focus quite easily. But after a couple of times of meditation practice, it will be much easier to stay longer in focused concentration, and you will notice that less and less thoughts will now enter your mind. The more you practice, the easier it will become, and the longer you manage to focus on your breathing, the easier the stress and anxiety will leave your body and mind. Meditation for anxiety has some clear benefits for your health. In fact all meditation is beneficial for the mind and body. If you meditate regularly, you will notice a reduction in anxiety and panic attacks, and eventually you will not feel them anymore at all. The reason is because with meditation you will learn to calm your mind, and to not let worrying thoughts enter it at will. Once you learn to stop the mind chit-chatter while meditating, you will carry this into your waking daily routines as well. You will notice that things that used to make you anxious, stressed out and worried will hardly touch you at all now. Or even if you still get upset by them, you will not feel that heightened negative sense of anxiety about the problem at hand that you used to feel before. Your mind will be much clearer and you will be able to find solutions to problems that you were easily overlooking before. You will also notice that you will be more aware of your surroundings overall. You will really live in the now as opposed to living in your head where all the worries seem to make their home when they are around you. 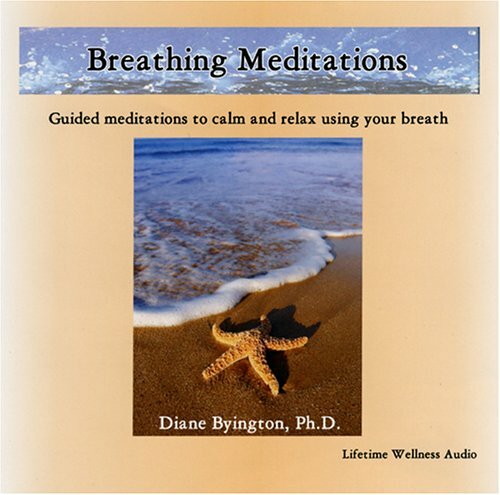 How Do You Feel About Meditating For Anxiety And Stress Relief? If anyone told you that learning to meditate is hard and you need to either have some special talents, or infinite patience to learn it, they are very wrong!